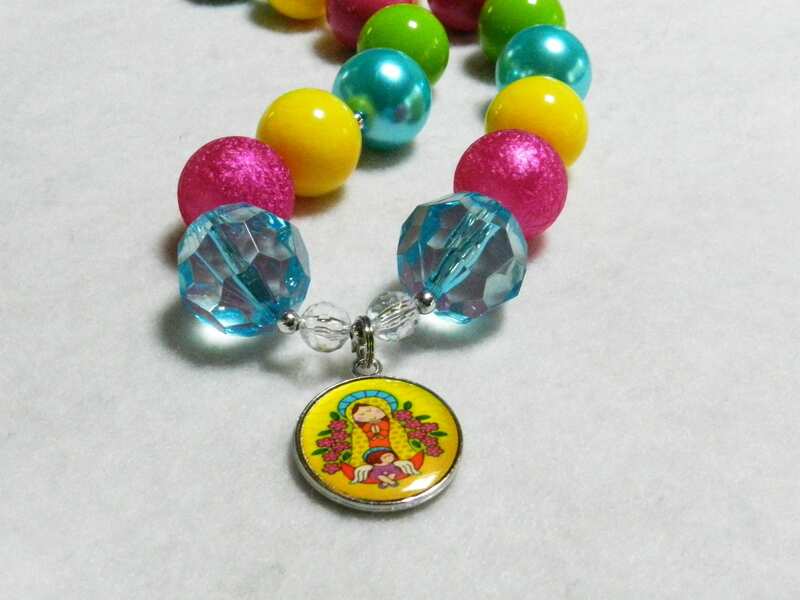 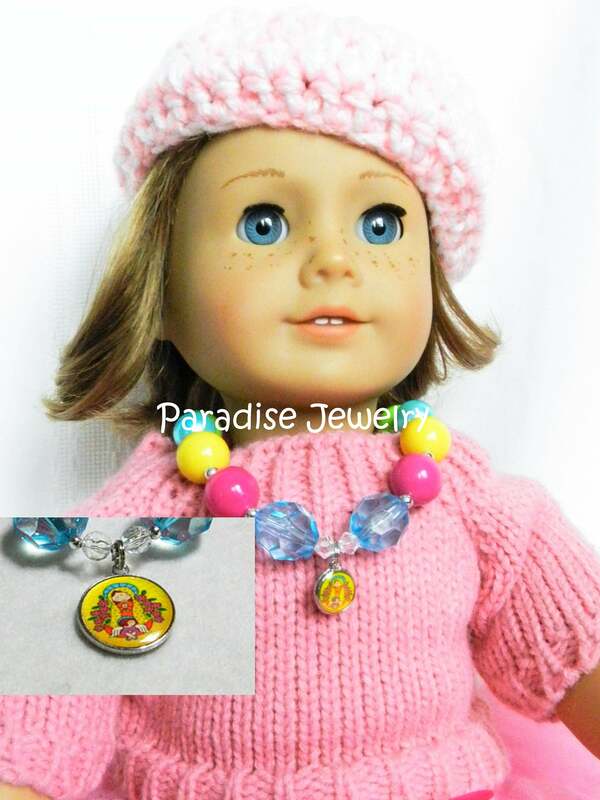 Doll and Me Jewelry, Mother Mary Pendant 18 in Doll size necklace, doll accessory! 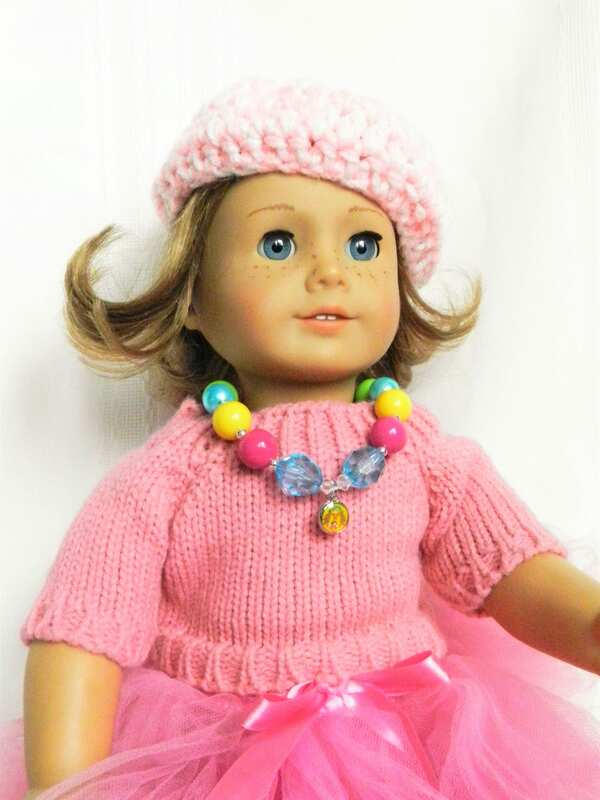 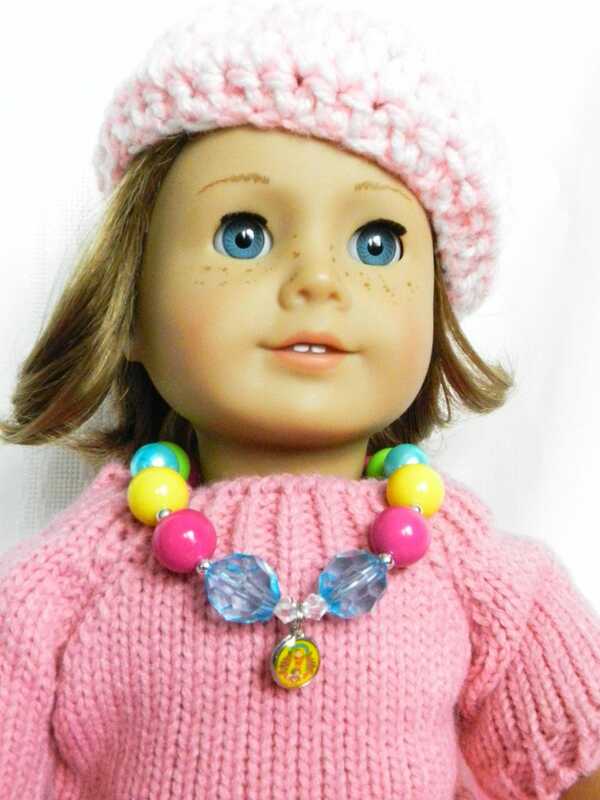 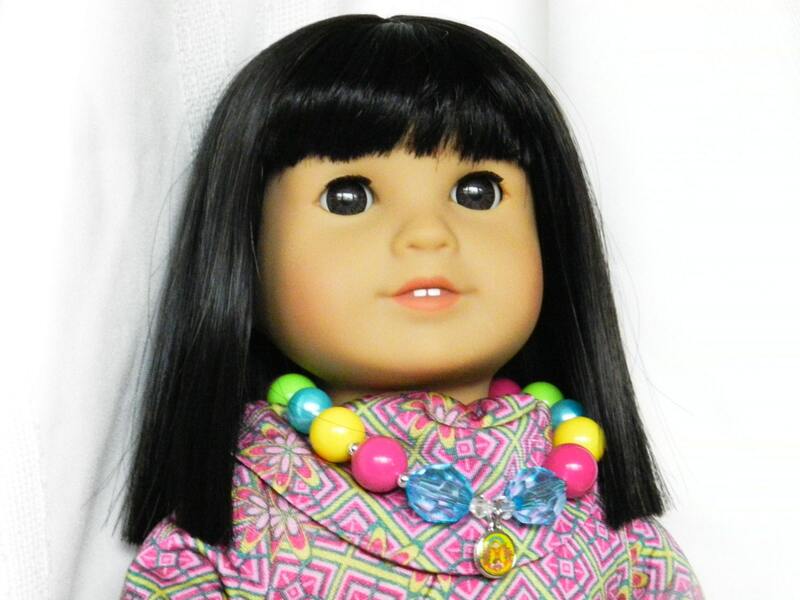 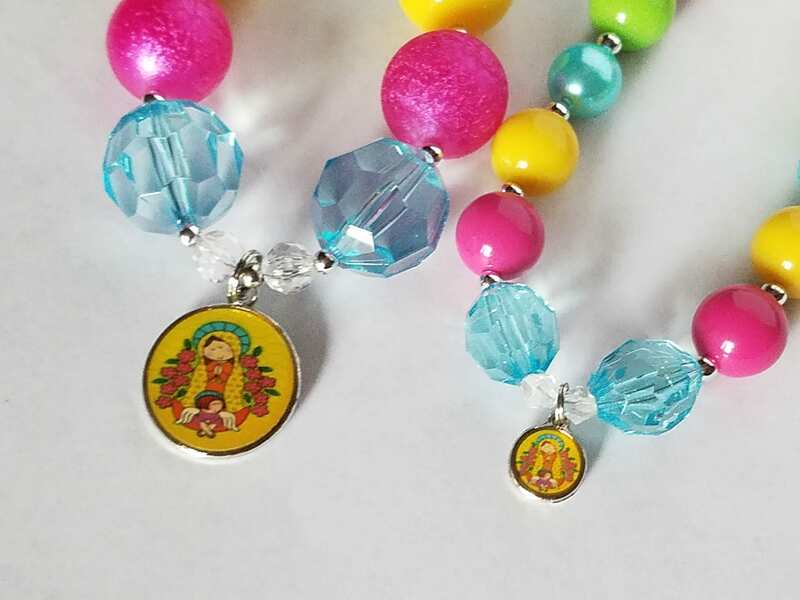 The doll necklace is made to fit any 18" American Girl doll or a favorite stuffed friend. 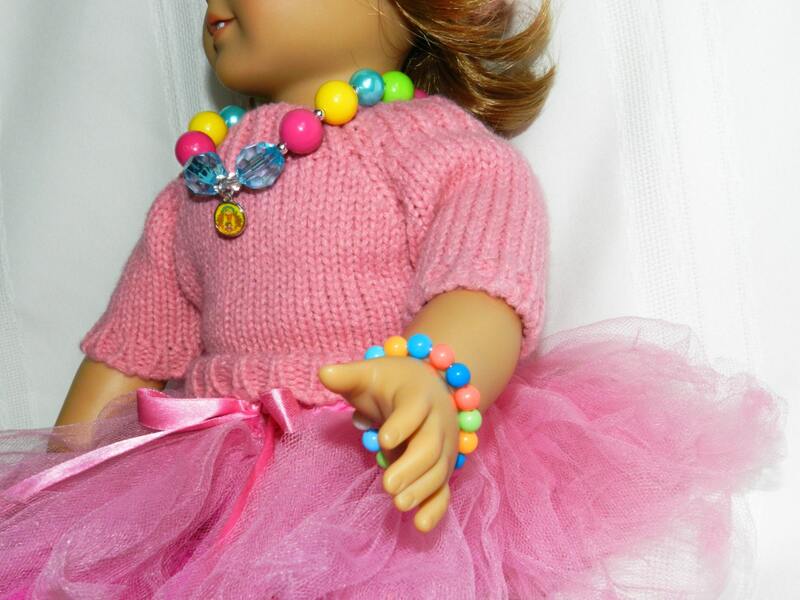 Choose doll size or child size or a matching set! 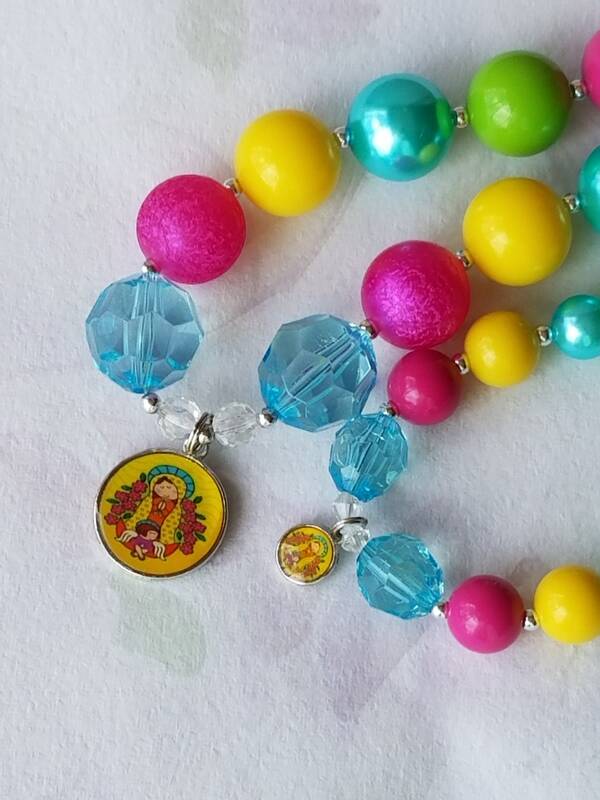 Chunky Bead, Multicolored resin and acrylic, strung with toggle. 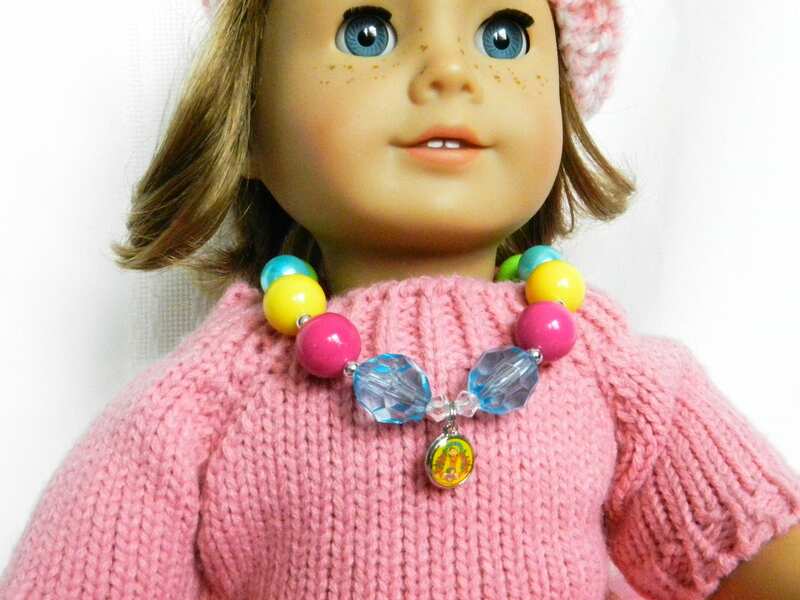 Doll necklace is approx 10 inches.